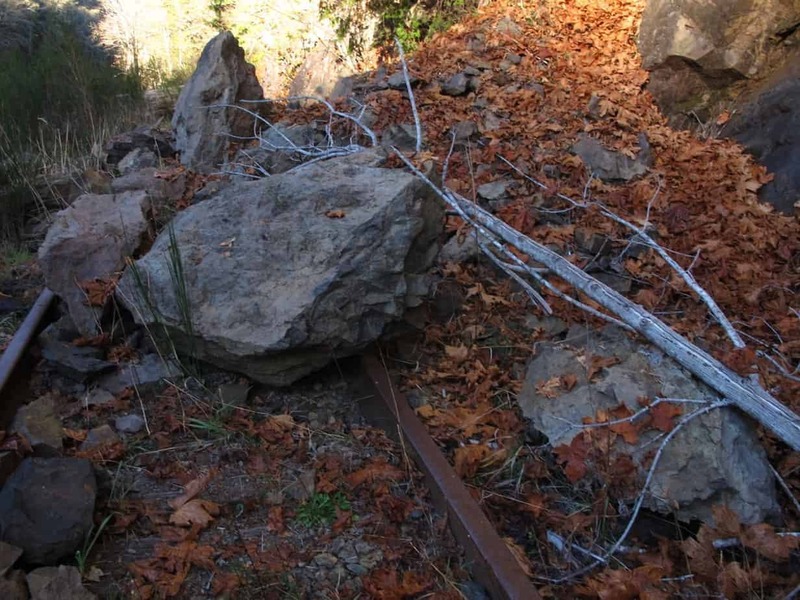 The owner of this trail has asked that the public cease hiking it. I have decided, therefore, to no longer encourage people to hike it. 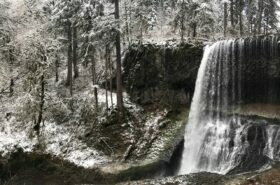 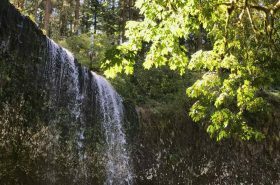 I’ve removed the directions from this post and the one on the Upper Salmonberry, and I will take it out of the next edition of my book, 60 Hikes Within 60 Miles of Portland. 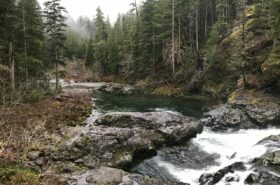 For now, here’s a photo album of what should, one day, be an amazing trail through the Coast Range. 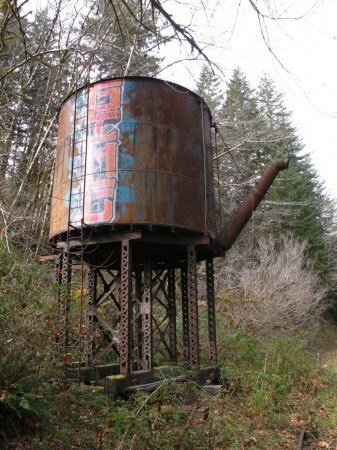 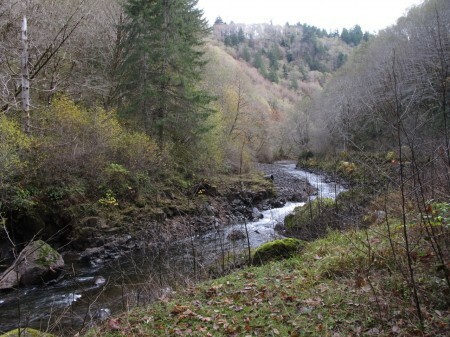 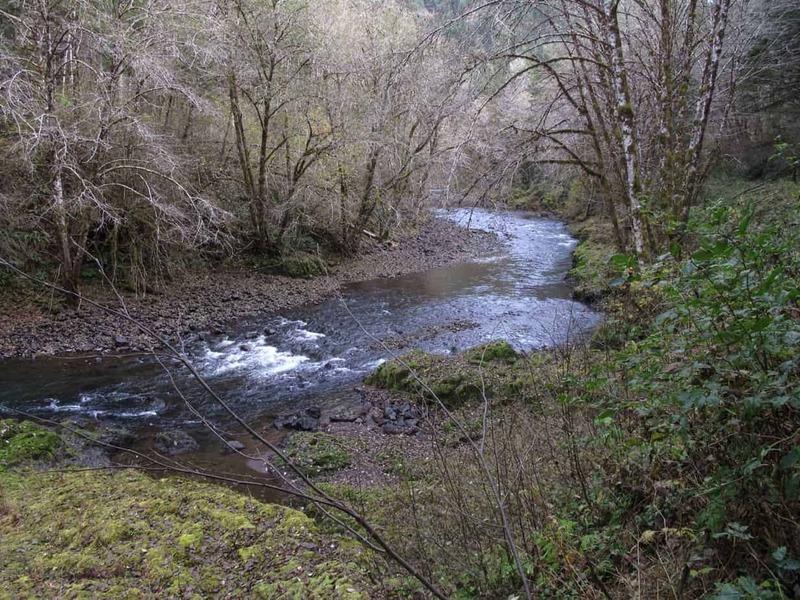 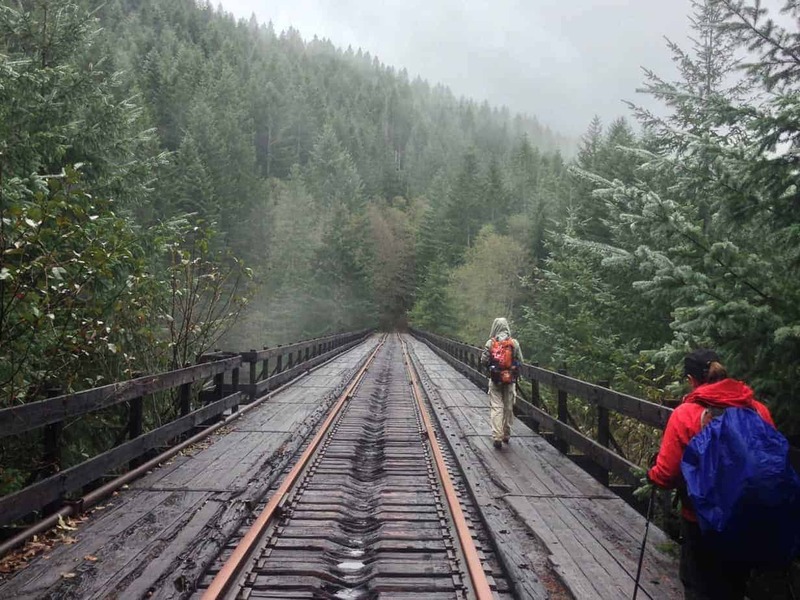 If you’d like to read about places to go hiking in the Portland area, click here. 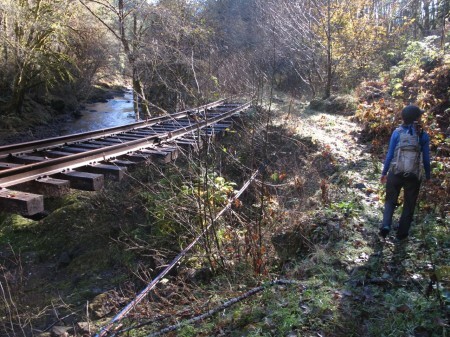 One of several bridges along the abandoned railroad through the Salmonberry River Canyon. 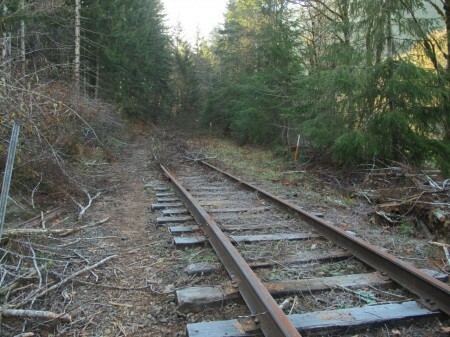 Tracks with nothing under them. 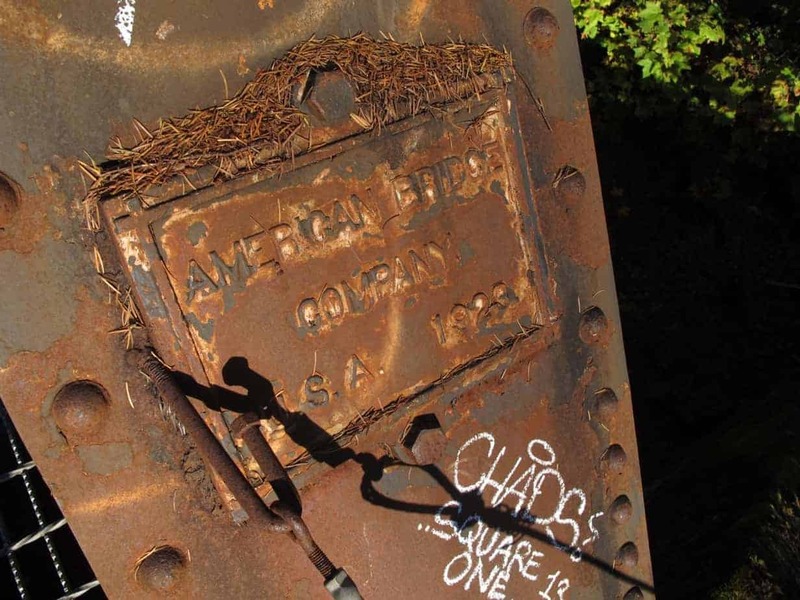 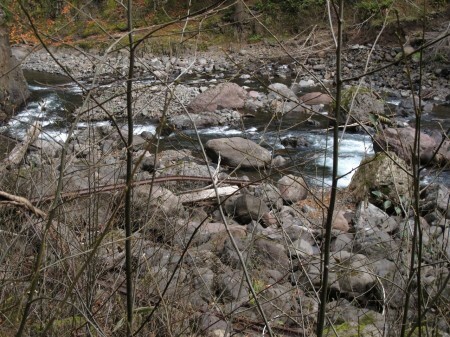 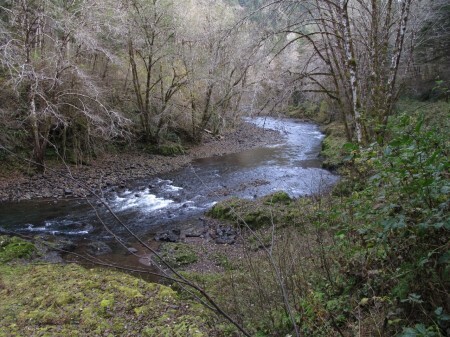 There are several layers of history along the Salmonberry. Trees and boulders block the tracks in many places. This old machine is one of many such relics of railroad days you’ll come across. 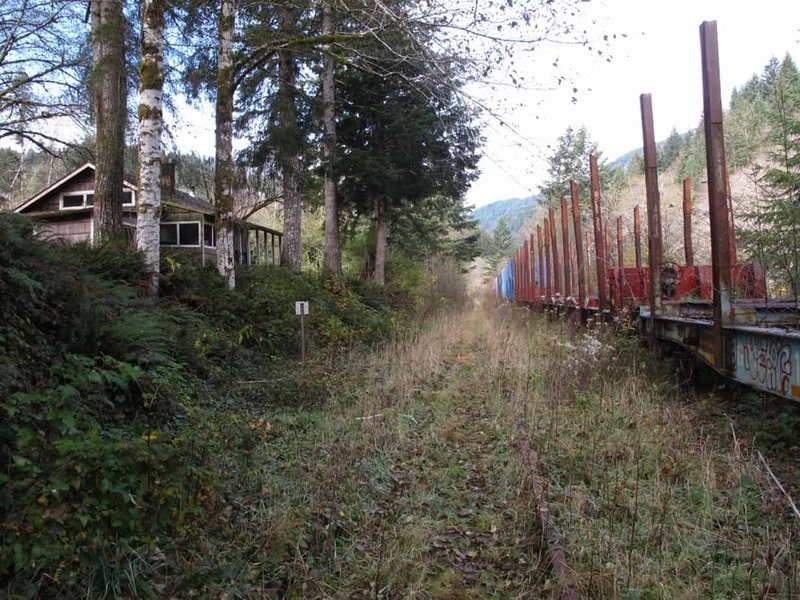 Abandoned cars … and houses!?!? 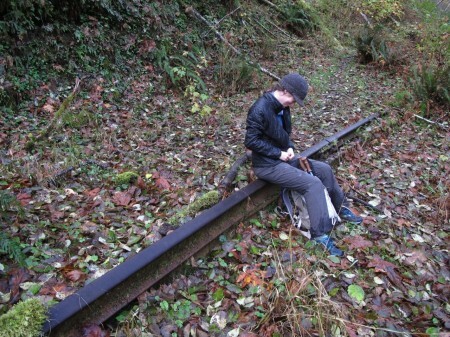 Lunch on the rails, Woody Guthrie style. 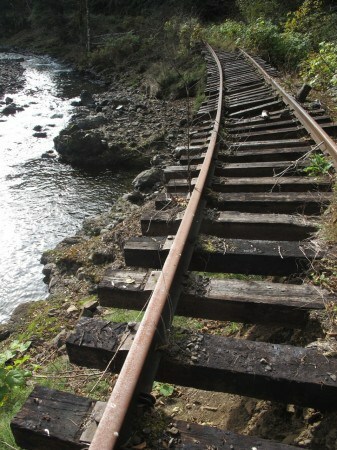 Yes, those are sections of rail down in the river! 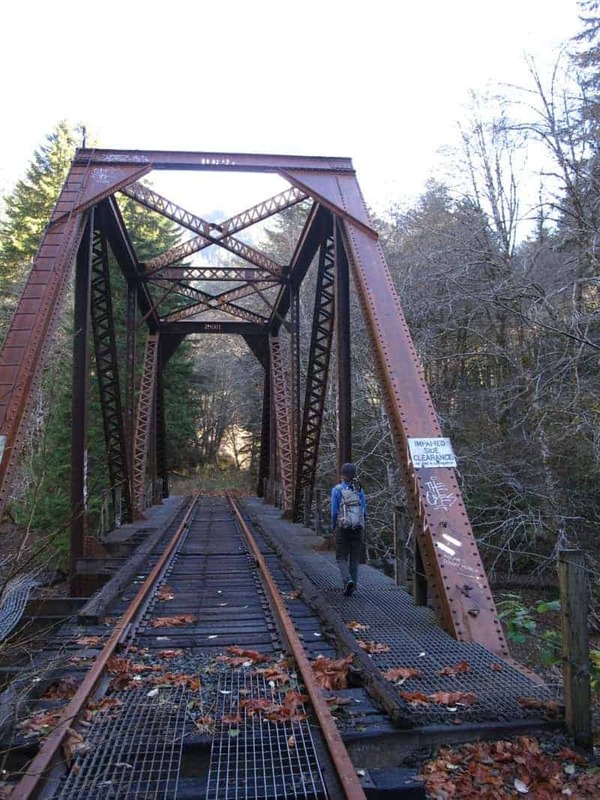 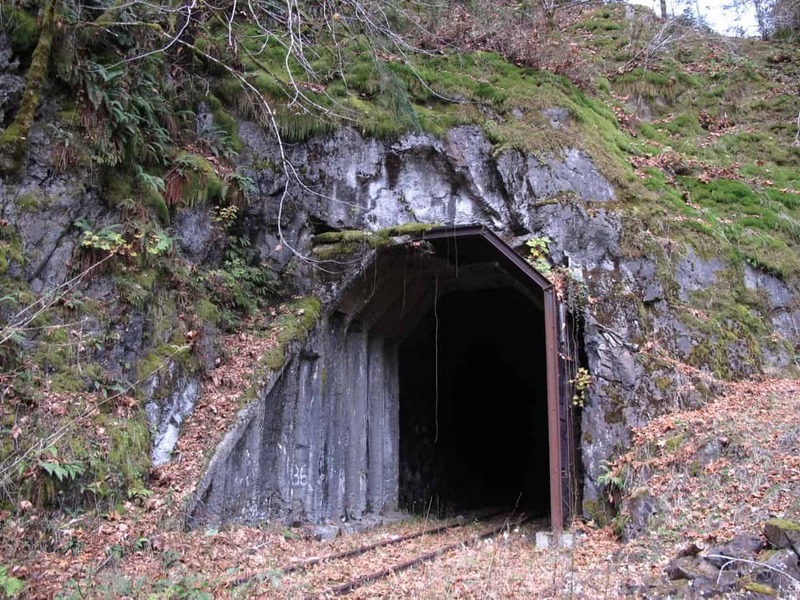 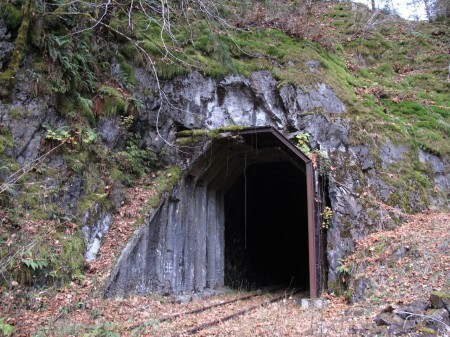 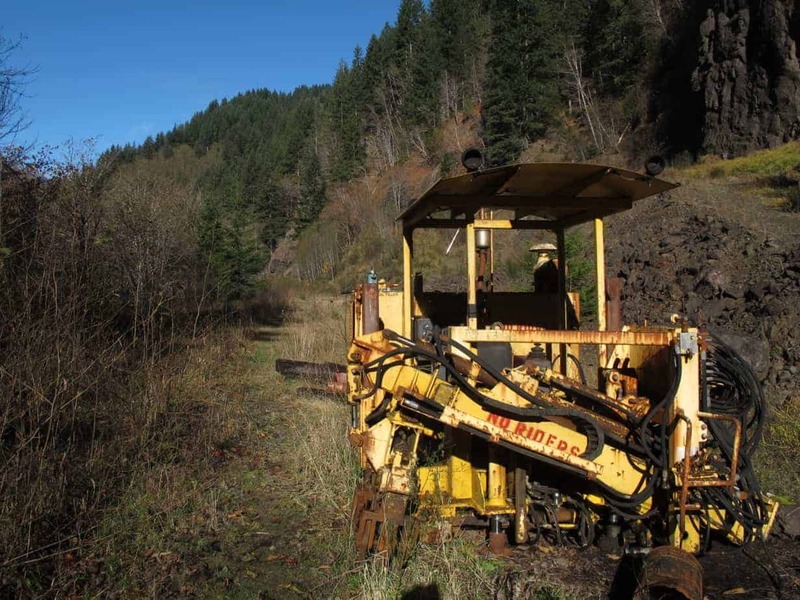 I hope to see you, someday, on the Salmonberry Trail!